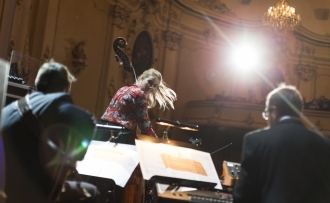 This year 56 musicians from 24 countries applied for the contest. 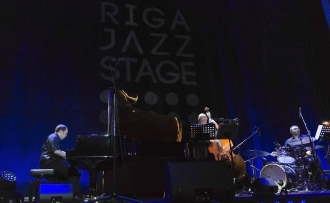 However, the jury has selected only 26 participants - 14 vocalists and 12 piano players - to show their talents upon the spotlight of Live Performance concert on April 4th in Riga, Splendid Palace. A Bu (China), Alexandra Mostovyak (Russia), Anil Bilgen (Turkey), Annemarija Moiseja (Latvia), Atis Andersons (Latvia), Can Yapicioglu (Turkey), Ceren Temel (Turkey), Cleo Steinberger (Germany), Dila Bahar (Turkey), Ella Hohnen-Ford (United Kingdom), Elza Ozoliņa (Lavia), Hyeonseon Baek (South Korea), Jake Hart (USA), Joel Remmel (Estonia), Judyta Pisarczyk (Poland), Kateryna Kravchenko (Ukraine), Katrīna Kabiņecka (Latvia), Kristina Kasperaityte (Lithuania), Lajos Tóth (Hungary), Liselotte Östblom (Sweden), Marianne Leibur (Estonia), Povel Widestrand (Sweden), Rina Yamazaki (Japan), Santa Šillere (Latvia), Sol Jang (South Korea), Wilbur Whitta (Australia). 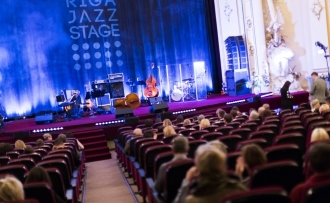 Live Performance concert will take place at Splendid Palace on April 4th and young jazz talents will perform accompanied by Riga Jazz Quartet presented by Kristaps Vanadziņš (piano), Andris Buiķis (drums), Andris Grunte (bass) and Jānis Bērziņš (guitar). 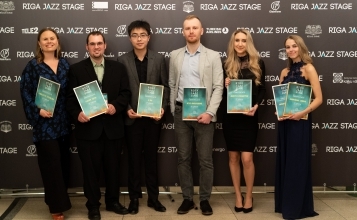 The finest 12 contestants will continue to the 3rd round, and perform at the Contest Final on April 5th. The winners will be announced at the Gala concert on April 6th.